a customized theme for ipod users! i used the iWPhone WordPress Plugin and Theme to run this feature on my blog. 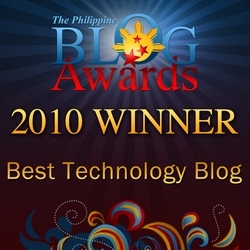 you can check out their site on how to use it also in your wordpress blog! Richard Feraro is a Magento Enterprise Certified developer from Manila, Philippines with 14 years of solid open-source development experience using Linux, Apache, MySQL & PHP. This blog is targeted towards all levels of developers and also designers. Various topics are discussed such as Magento, PHP & MySQL, jQuery, WordPress, CSS and HTML. [Plugin: Mage Enabler] Same database? Can mage-enabler make single sign on between magento & wordpress? All entries in this blog are my opinion and don't necessarily reflect the opinion of my employer or my mom.